Harsa and Jennyk in San Sebastian. Arantxa Recio Parra was born in Zaragoza. 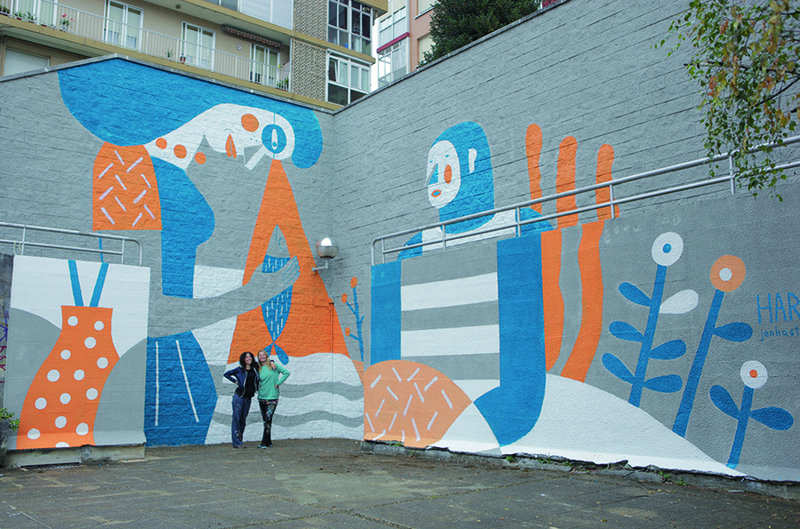 She is a visual artist, muralist, illustrator and graphic designer. She enjoys working on a rich and diverse range of creative projects. She always tells a story with her creations and her unique style.